An ideal solution for applications requiring a quiet reliable printing solution in a small footprint. A custom solution to your printing needs - the TM-U325 series features four models, each having different equipment and applications. and, thanks to the TM-U325 bi-directional printing, receipts are issued quickly. 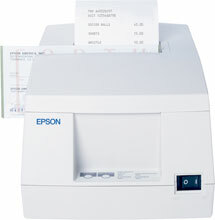 The Epson C31C213A8941 is also known as Epson POS Products	EPS-C31C213A8941	.